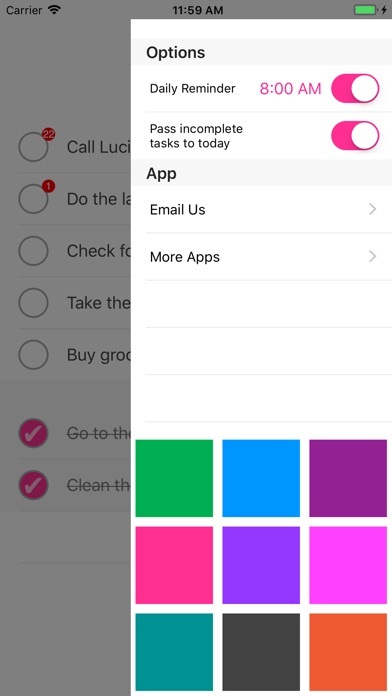 Do Check App is a simple yet effective, straight to the point, daily to do list. 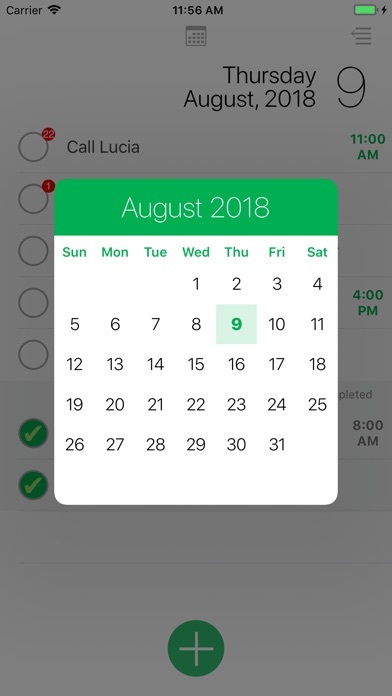 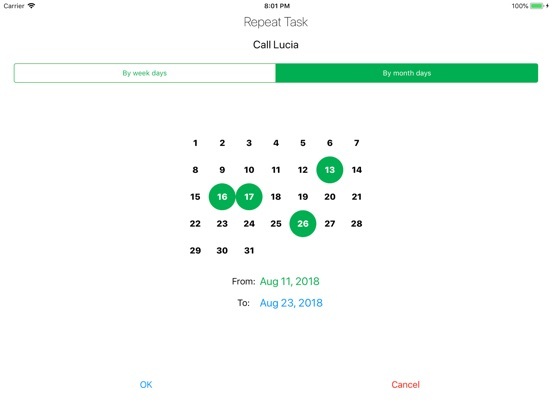 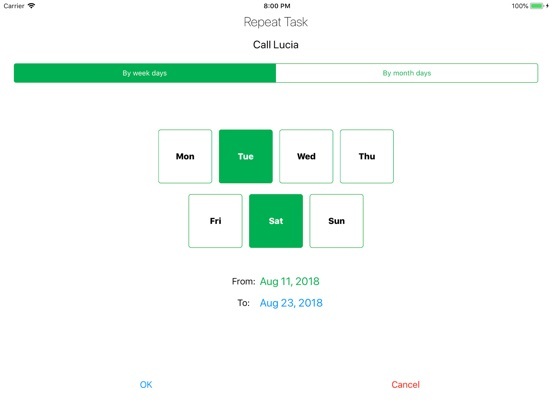 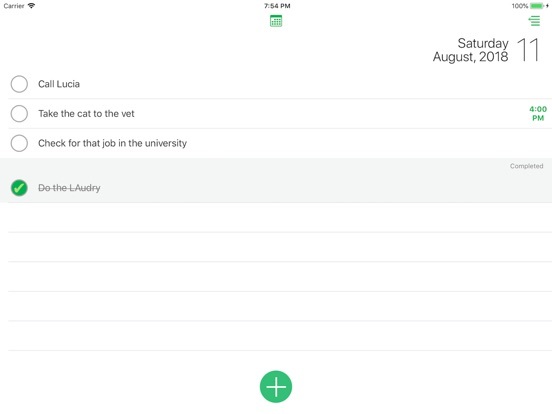 No confusing options or views, just add your tasks and check them up when they are done. 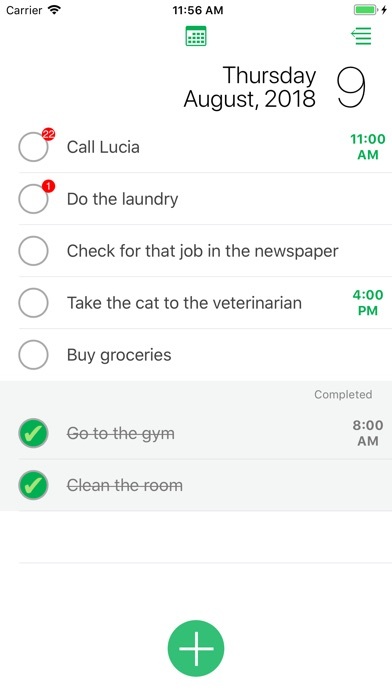 When you open the app, it brings the todays tasks for you. 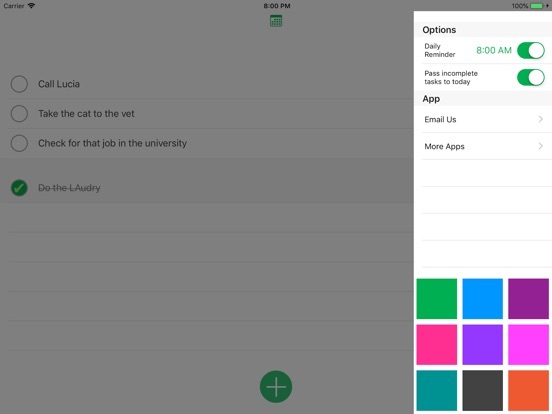 Just add them as simply as pressing a button and write. 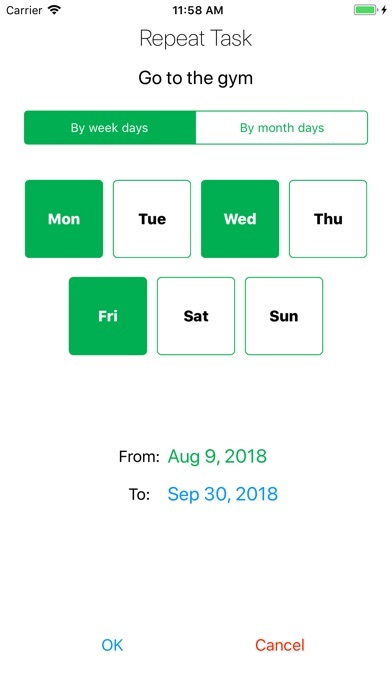 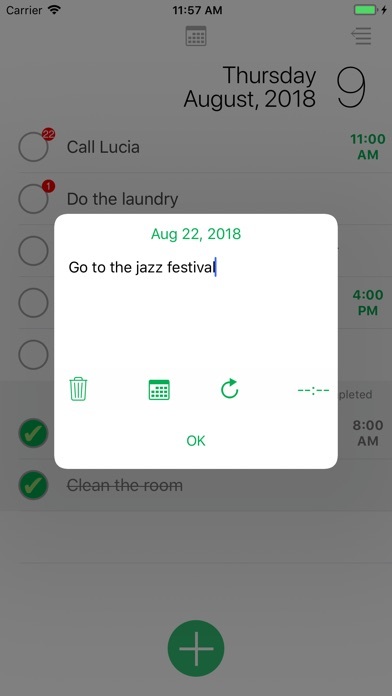 Yo can also write tasks for future days navigating in the days.